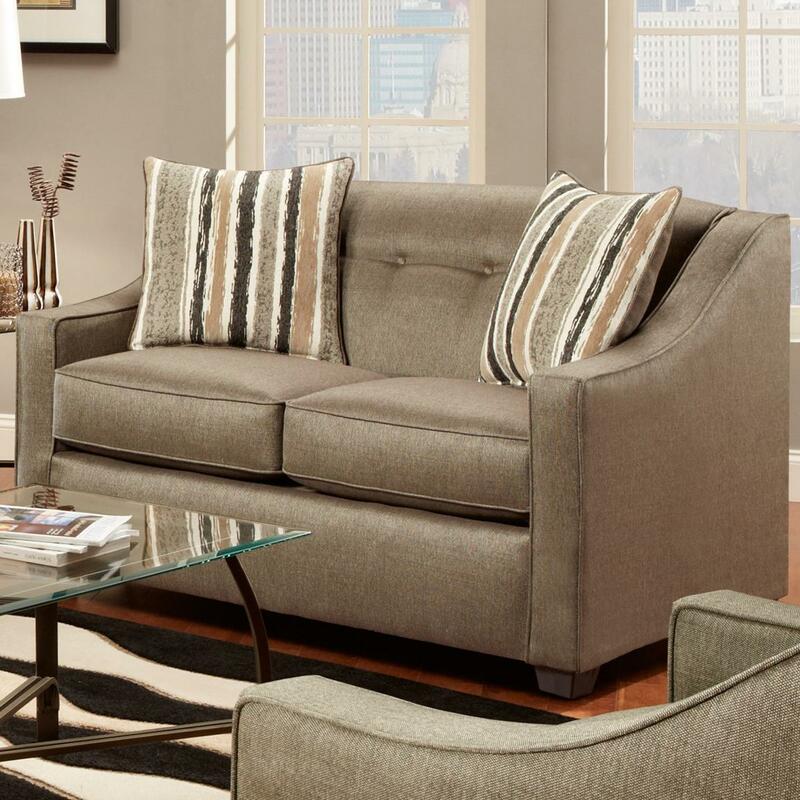 You can have a clean, transitional look for your living room with this stationary loveseat. 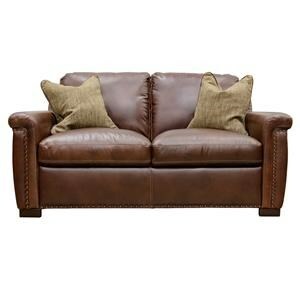 The piece features attached, tufted back with sloped, tracked arms. Loose seat cushions and exposed wood legs are also included. 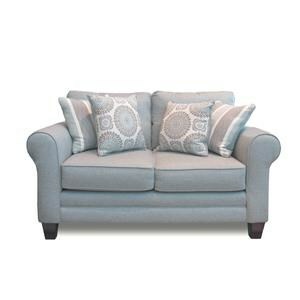 You'll be set with this love seat in your home. 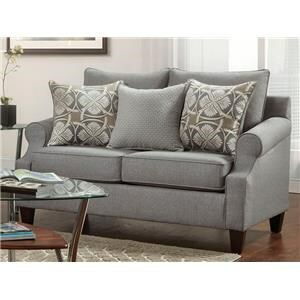 The Stoked Pewter Love Seat by Washington Furniture at Great American Home Store in the Memphis, TN, Southaven, MS area. Product availability may vary. Contact us for the most current availability on this product. 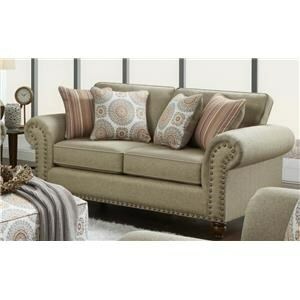 You can have a clean, transitional look for your living room with this upholstery collection. 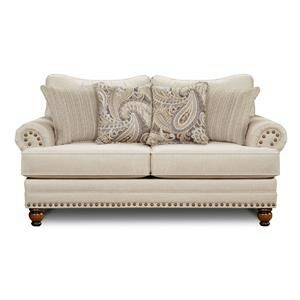 The piece features attached, tufted back with sloped, tracked arms. Loose seat cushions and exposed wood legs are also included. 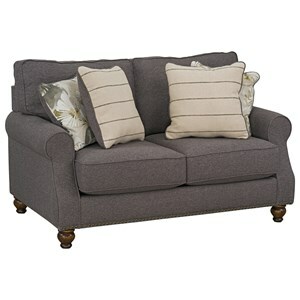 You'll be set with this stationary sofa and loveseat in your home. 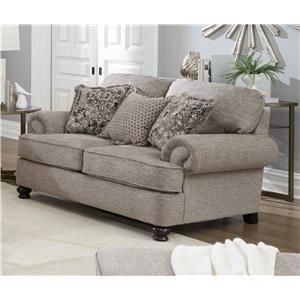 The Stoked Pewter collection is a great option if you are looking for Transitional furniture in the Memphis, TN, Southaven, MS area. Browse other items in the Stoked Pewter collection from Great American Home Store in the Memphis, TN, Southaven, MS area.